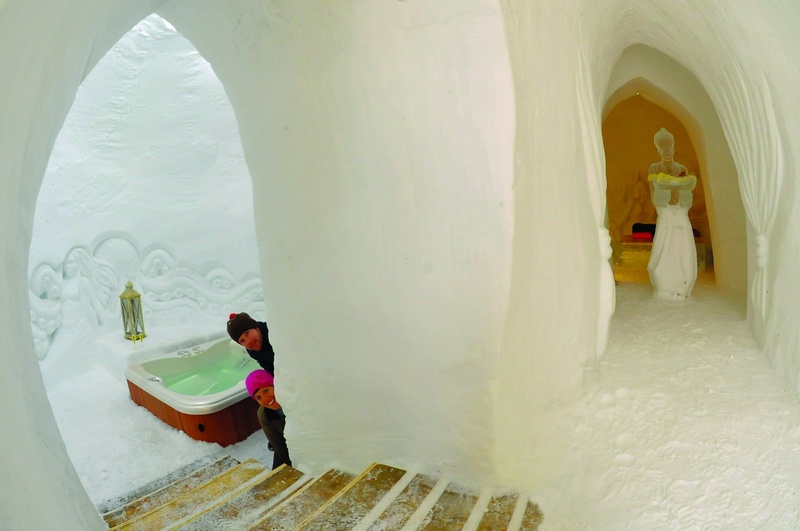 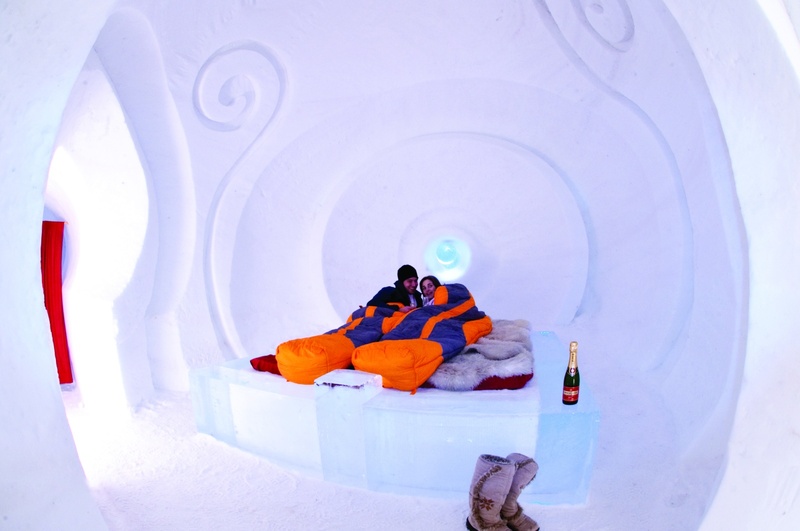 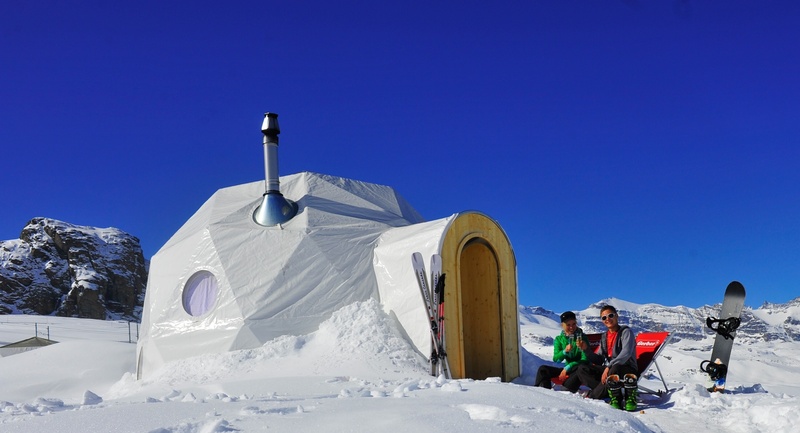 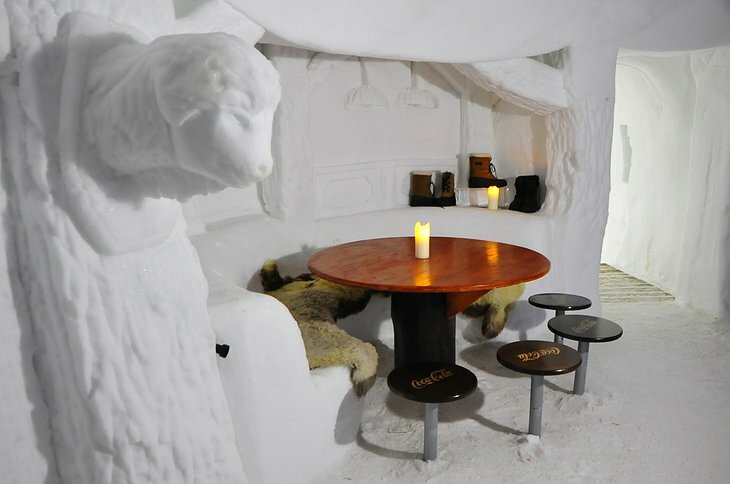 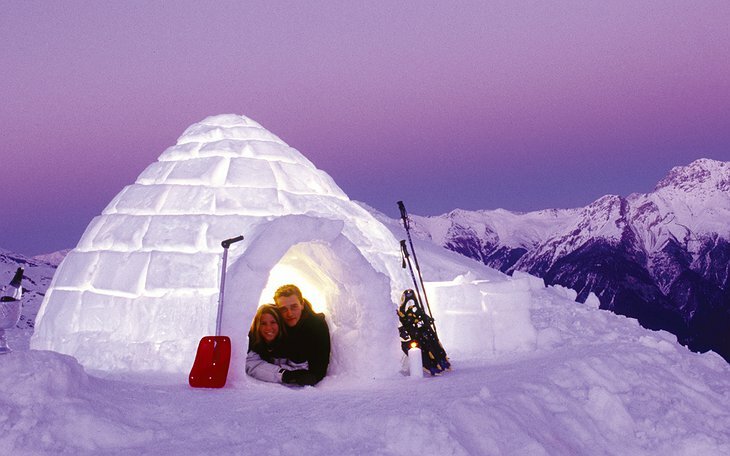 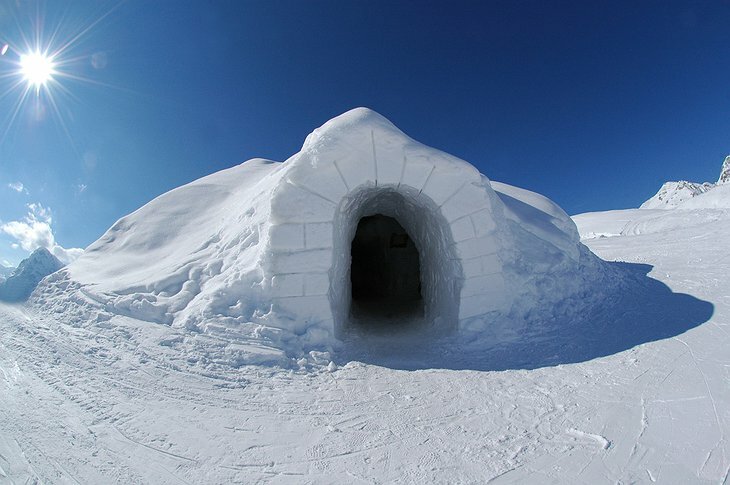 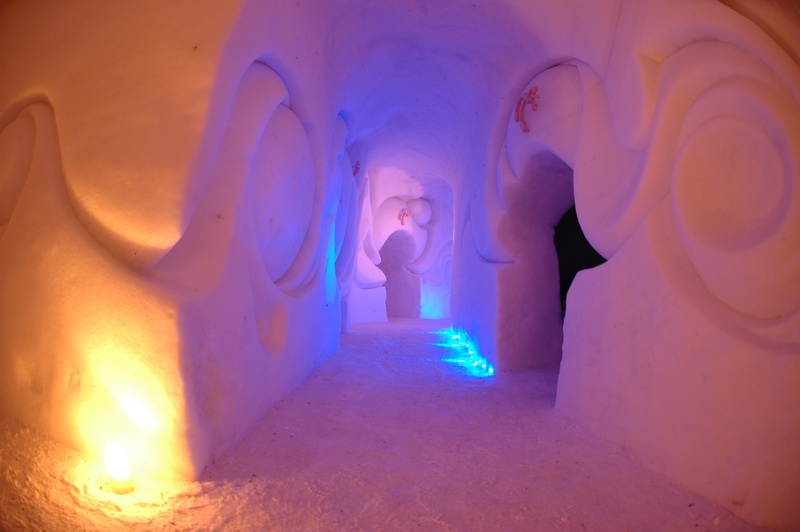 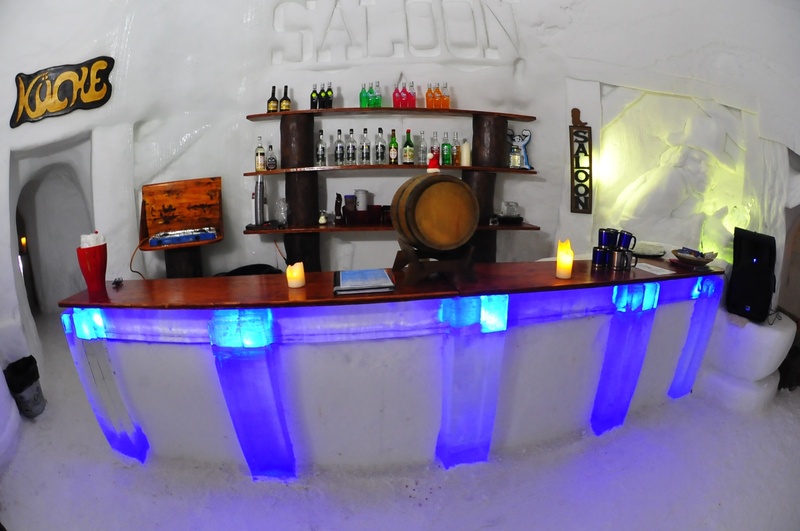 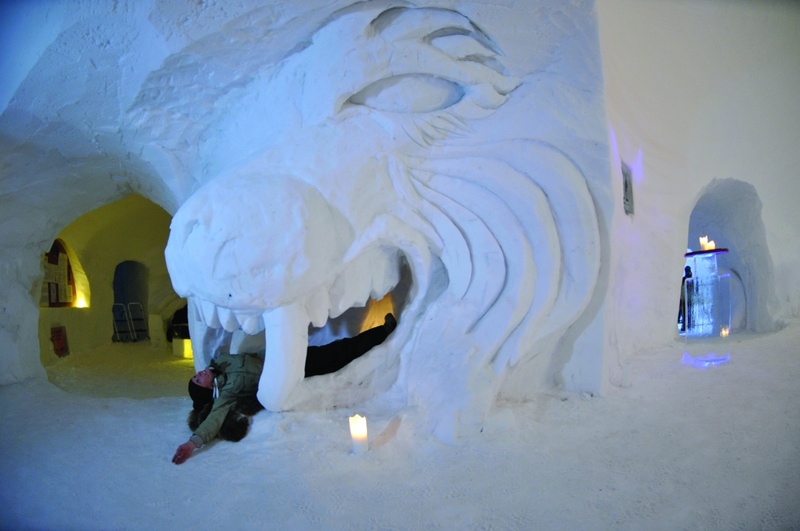 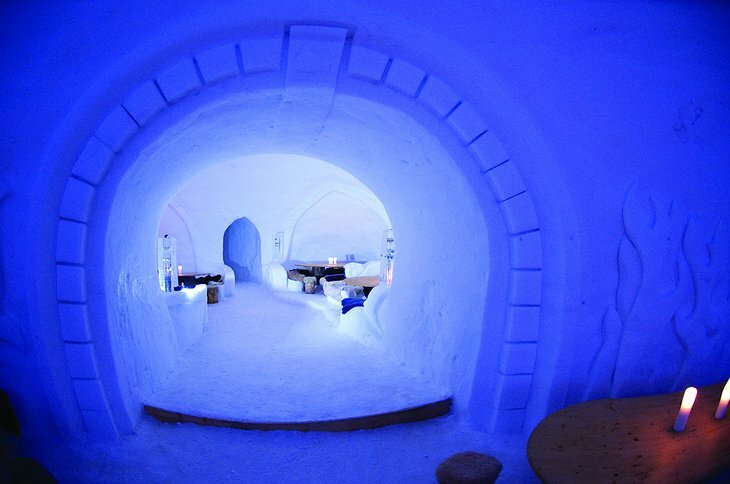 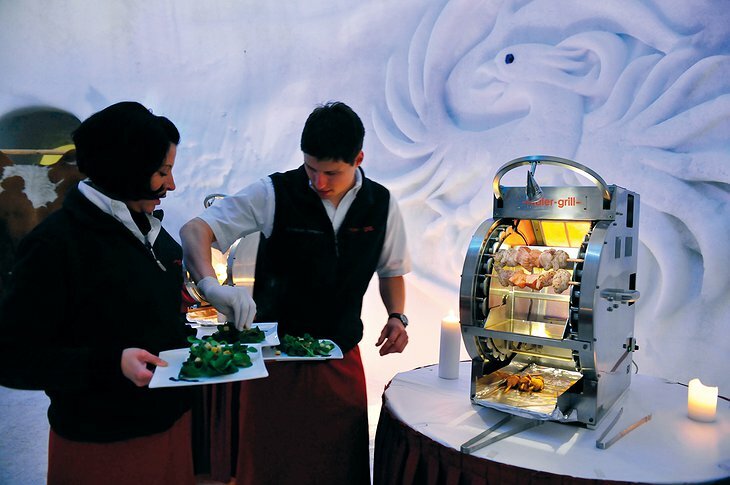 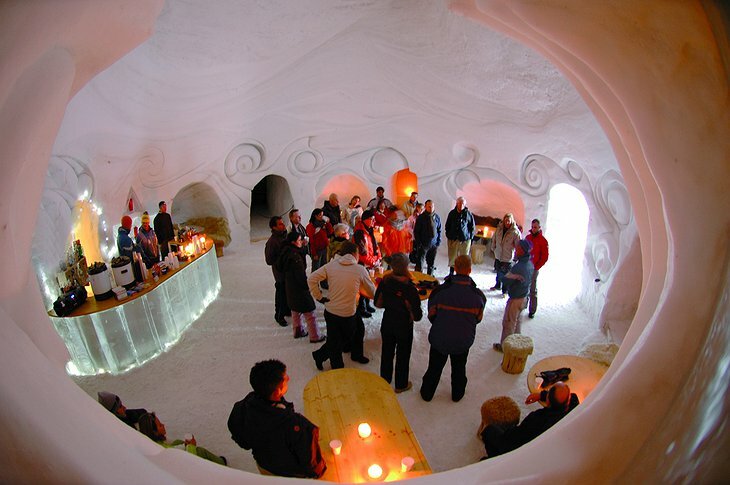 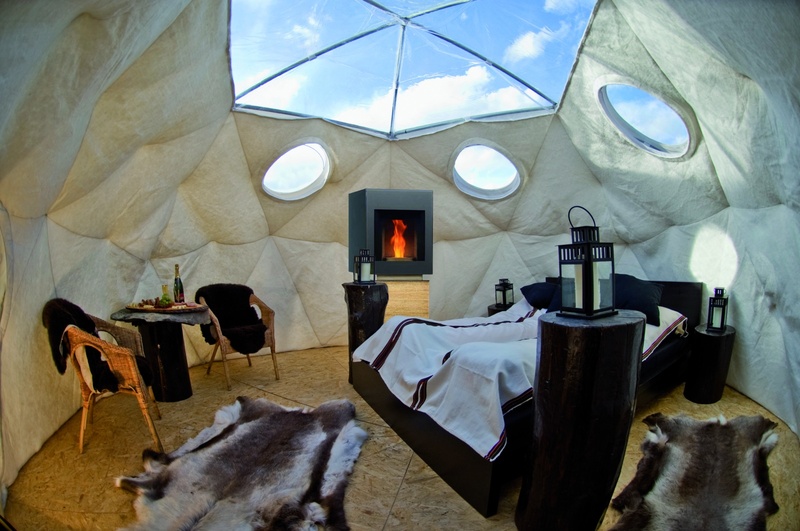 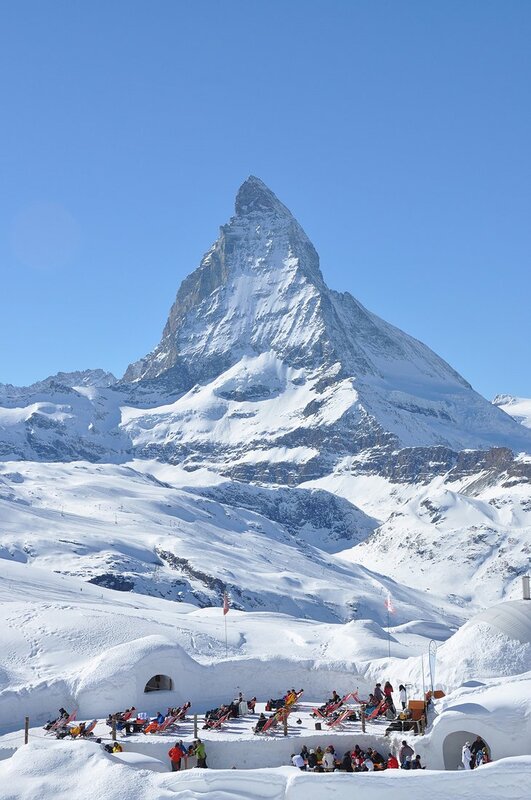 Built from 3000 tonnes of snow in different locations around Switzerland, Germany and Andorra the igloo hotels feature top-notch ice artistry and a variety of rooms all made from glistening ice and snow. 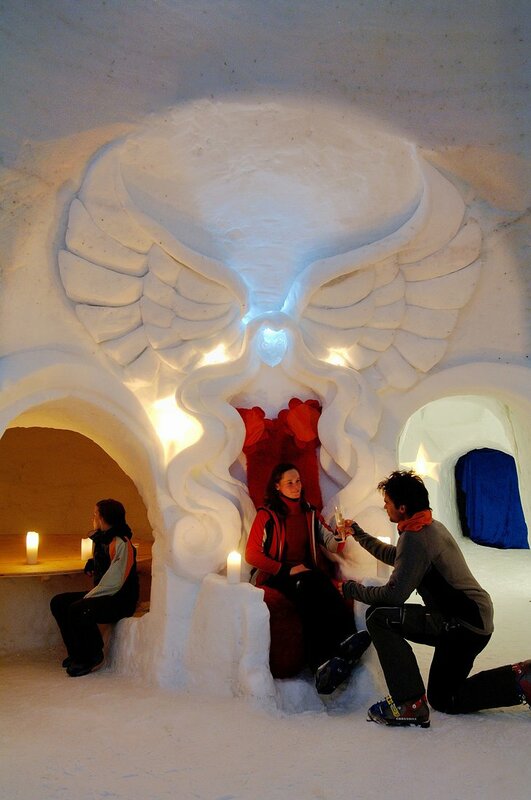 There are family and romantic options. 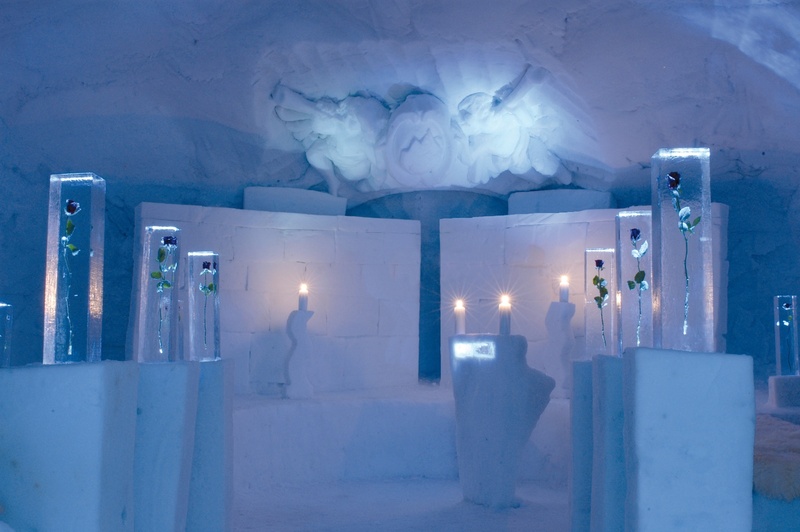 The romantic rooms come with ice-carved tables, champagne and mood lighting. The rooms are equipped with specialist sleeping bags so you remain warm. 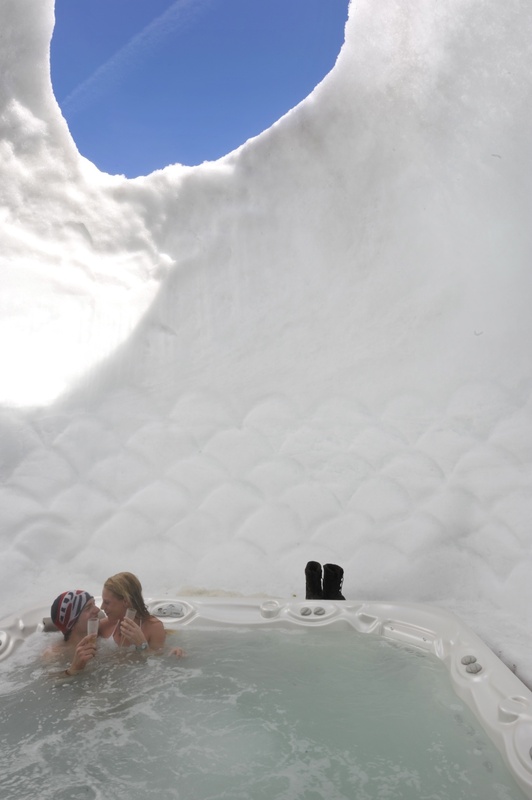 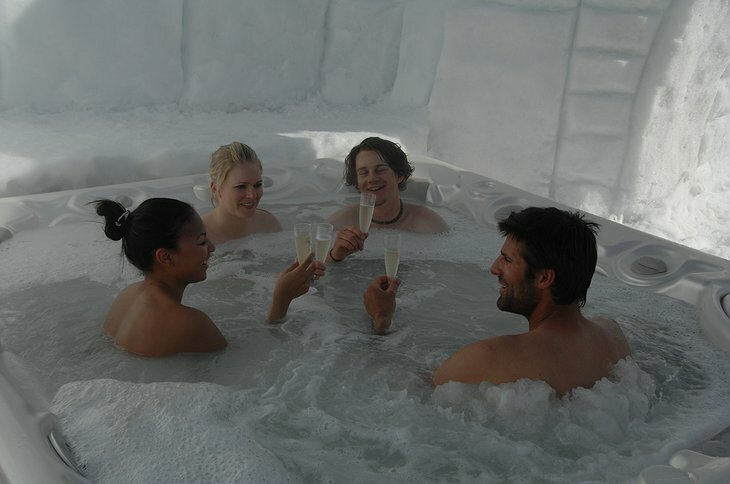 You can relax in a sauna (in Gstaad and in Davos-Klosters) and open-air whirlpool at 2620m above sea level and admire ice carvings created by international artists. 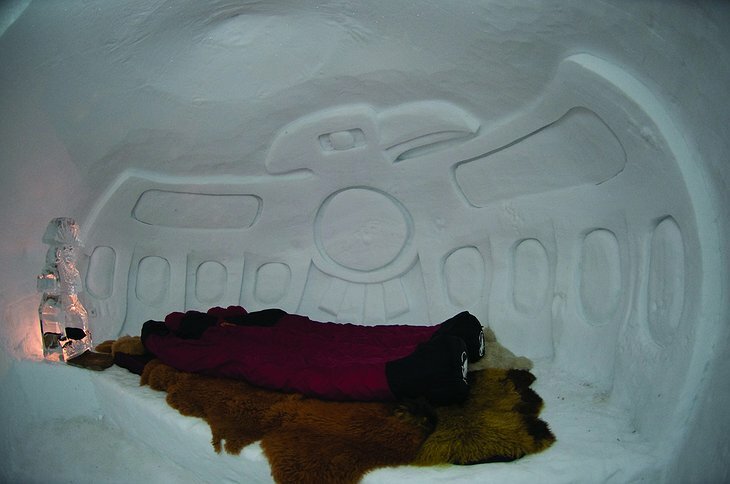 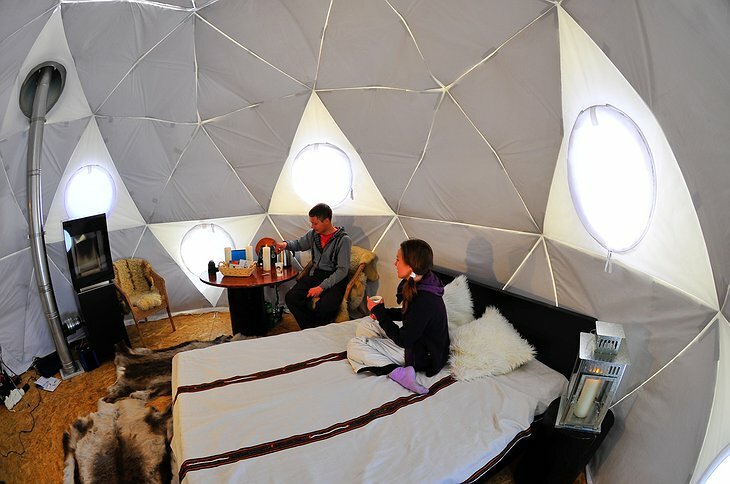 The hotel was created by snowboarder, Adrian Gunter who used to build himself little igloos to sleep in so he didn’t have to travel back and forth from the best snowboarding slopes. 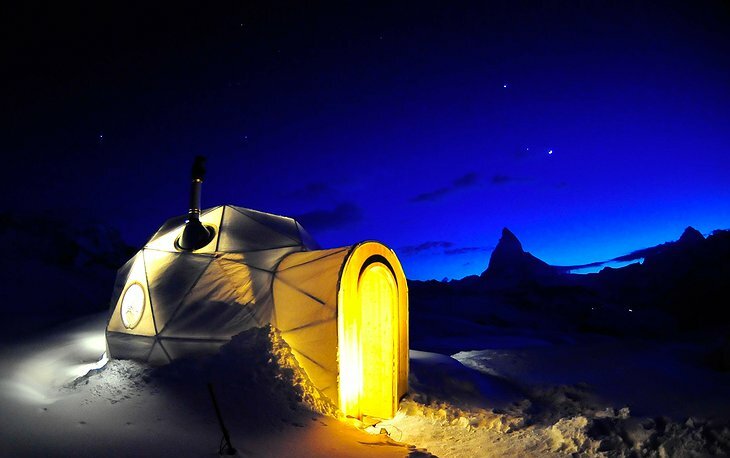 The shelters worked so well, he began building more and eventually opened them as a hotel. 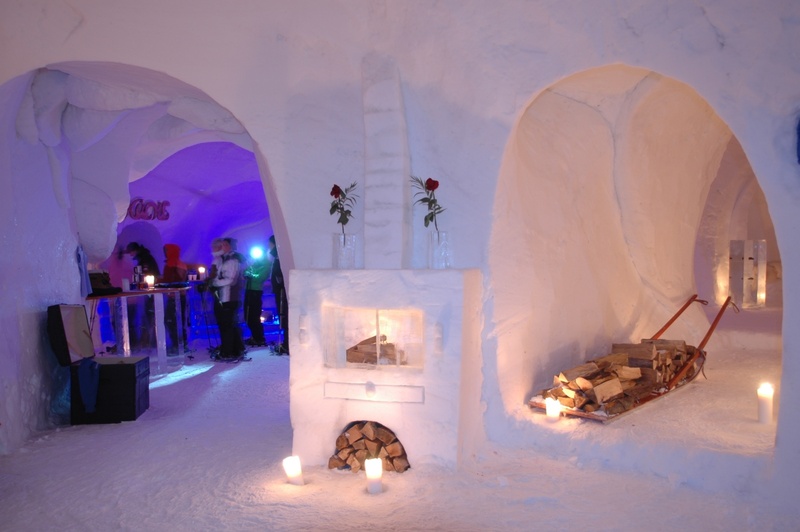 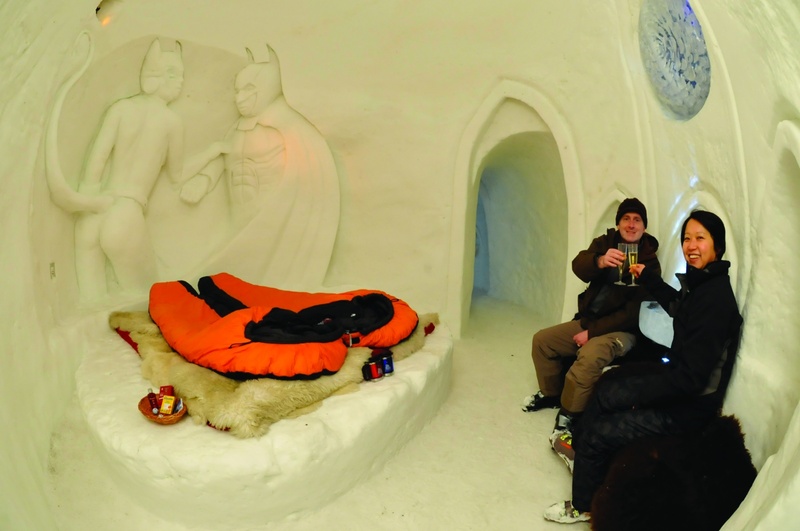 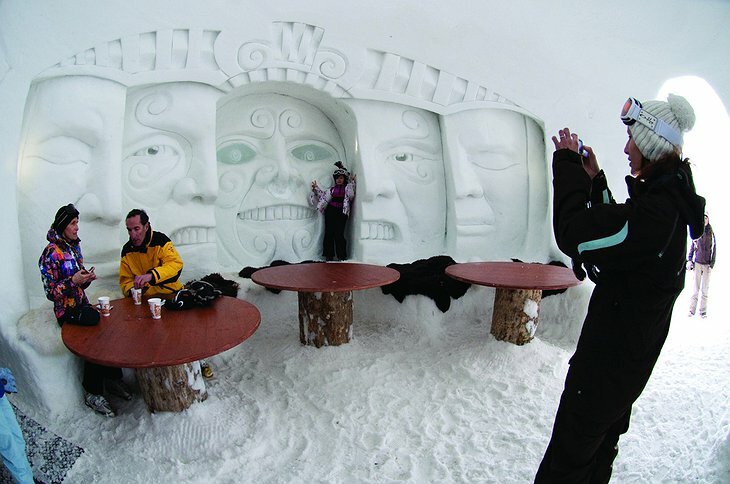 To create the igloos a huge inflatable balloon is blown up and covered with snow, the snow freezes and the balloon is removed creating a solid structure around which the outing of the hotel is made and snow and ice-carvers decorate the interior.